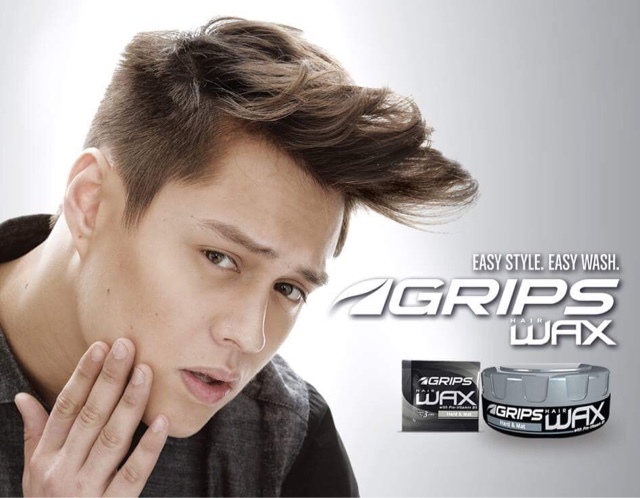 Yesterday sparked the endorsement of Enrique Gil with GRIPS Wax and Grips Clay but we're not stopping there. Have you ever wondered how he gets that look? How does he make that hairstyle? How does he stand out in the crowd? I think it's actually easy to do so let me decostruct it for you. For starters, we need to use the right product. GRIPS has 3 wax variants that basically means it's got different types of hold. Yes, we need to manage hair in different conditions so we could get that look for different occasions. Enrique tells you how in these posters. 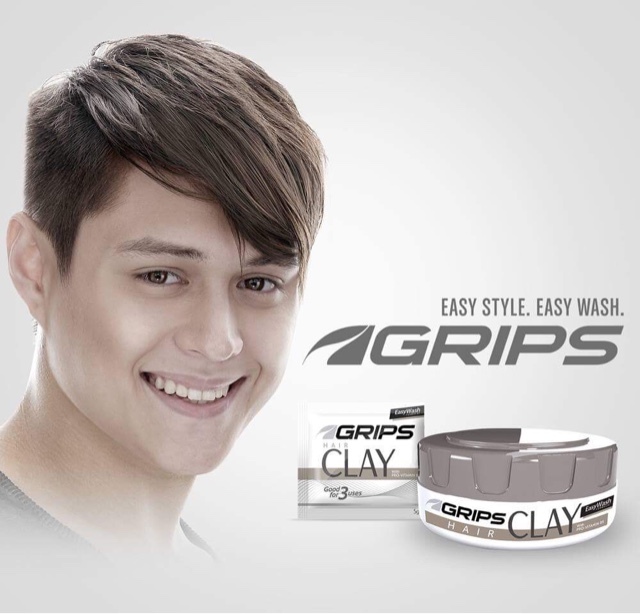 For the TENTEN look, he uses GRIPS Clay and lightly lathers it on his hair with his hands. You can also use this on the tips so it bonds together to prevent hair from those fly aways. This is easy to maintain and only takes a few minutes to do right after you dry your hair. You must ask your barber or stylist to keep the length on the top and just pull it on the front left side. If you're out to play sports or just going the gym to workout, if you are athletic, this is for you! If you prefer going out at night for some real fun with friends or family, get te GRIPS Hair Gel. To get this Alexander Grande III look, you need a clean barbers cut and a comb. Right after you come out of the shower and towel dry your hair, apply a good amount if gel on your hands and lather it in on your hair from top to sides. Use the comb to make a few lines on your hair and smoothen it out by tucking in the crazy ones inside. You'll look like a million dollars like him in no time. 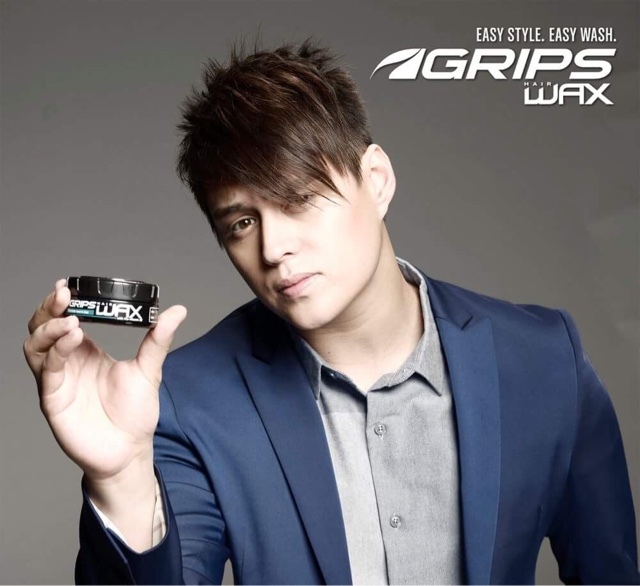 Using the black GRIPS Hair Wax for extra hold, dry your hair thoroughly and build height with your hair up top. I remember the saying "the higher your Pompadour, the closer to God" and with the tons of award shows and events that Quen needs to attend these days, he's most presentable in this style. Enrique also love to dance. 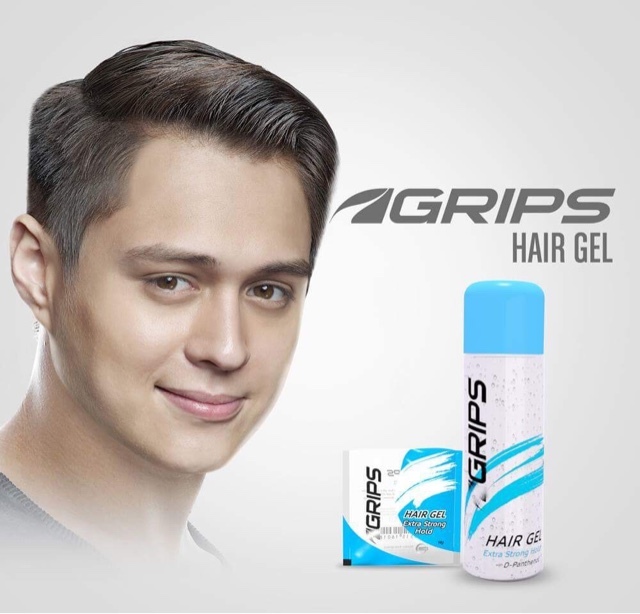 For the King of the Gil look, you can have that same haircut as with the Tenten look but instead of putting everything on the sides, use your hands to pull it up on the front so you would look cool and hunky. Pur a little more wax on the tips and take time to arrange it but make sure it doesn't look messy. I'm sure you'll find your own Liza Soberano in no time! You will be seeing Cali and Gio in Star Cinema's My Ex and Whys which will shown on February according to Enrique. In awards show, Enrique can just use a dab of the wax and put little spikes in the back and smoothen out in the front, this might get an impression of a little bad boy look for him. Since they're ex's in this movie, there will be some conflict between him and Cali. But before you all get excited, get this look so you can get a hit of Enrique's look even before it hits theaters. Who knows, you might set a trend! Thank you GRIPS for having us and B Hotel for hosting the event. Thank you too to the thousands of Quenatics who said thanks after I posted tons of shots on my Instagram account (follow @kumagcow on all social media channels please!). 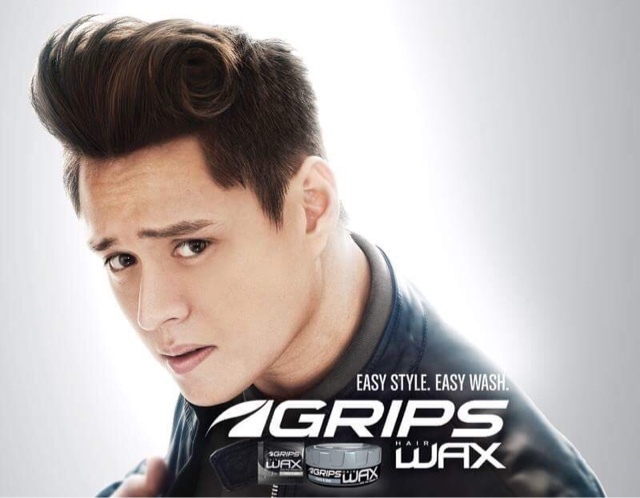 Thank you to Enrique too for being so nice during the interview and I hope you get to enjoy his look now that you've got GRIPS Wax and Clay available in stores nationwide!